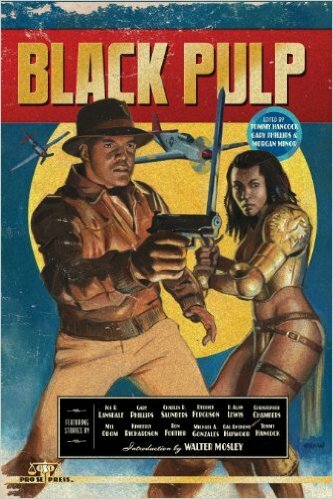 October is Black Speculative Fiction Month! 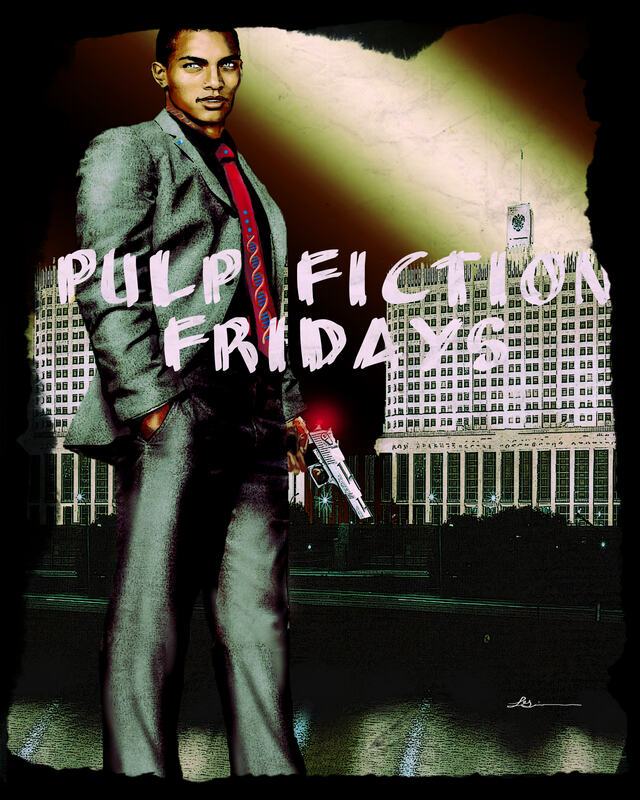 To celebrate, each Friday in October will be Pulp Fiction Friday. Authors will contribute a post discussing the writing of pulp, mystery, spies, and whodunits in the realms of science fiction and speculative stories. 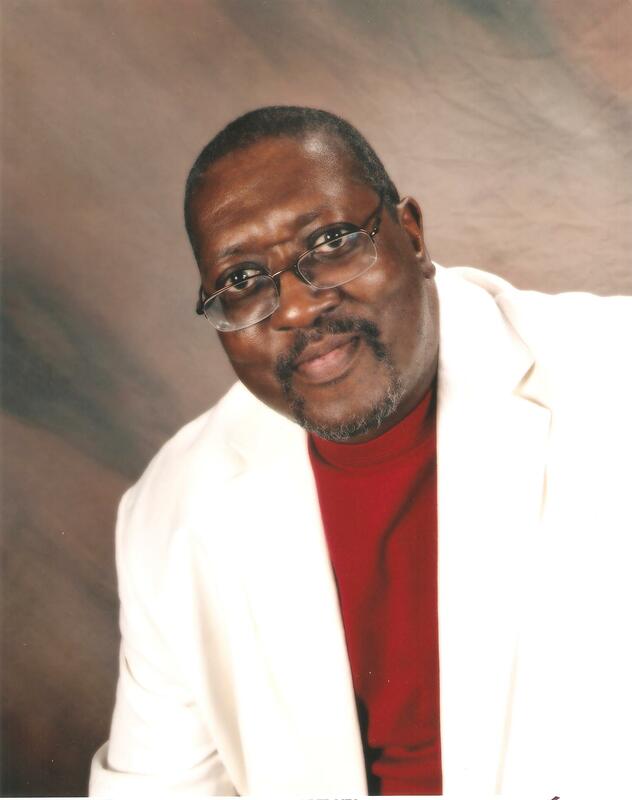 Welcome to Derrick Ferguson to Pulp Reports! First off, I don’t think any writer sits down saying: “Today I am going to create a memorable character.” Any more than he can sit down and say “Today I am going to write a memorable novel.” Only the kindness of readers and the passage of time can judge the memorability of a writer’s work. 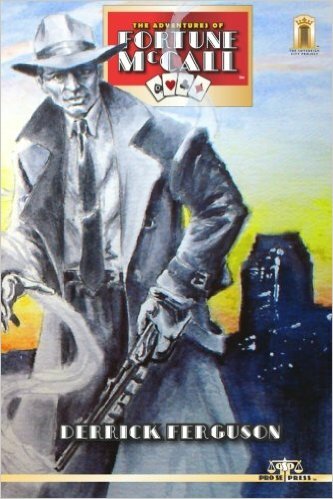 When I set out to create characters I do according to whatever type of story it is I’m writing at the time and I tend to build them the same way whether it’s my supernatural western gunslinger Sebastian Red or my family man superspy Jackson Rush or the enigmatic urban hitman Diamondback Vogel. I dig out my Character Profile which contains about 30 questions dealing with that character’s background, where and when he was born, his parents, where he was schooled, what he likes to eat, his sexual preferences and a whole bunch of other stuff that may not seem important but to me it is. By the time I’m finished filling out The Character Profile I’ve got 12 to 15 pages of solid information about the character I’m dealing with. Information that gives me a powerful tool since I don’t have to stop and wonder how that character would act in a certain situation. How much of this information actually finds its way into the actual body of the story? Not as much as you might think. But that’s not what’s important to me. If there’s no reason in the story why you should know who Jackson Rush lost his virginity to at age 18 then why should I tell you? But I know and in my mind it gives the character weight. He’s not just a vague shadow I’m pushing around at my whim. By the time I’ve finished The Character Profile hopefully he’s taken on his own life and begun talking to me, relating events that have happened to him that I’m just recording. That’s when I know that I’ve created an actual character and not just a blow up figure. Should you do a Character Profile? I dunno. I’m a big believer in every writer finding his own best way of working. What works for me may not work for you. But I find it almost impossible to start writing a story without knowing my main character inside and out. Once I know that, everything clicks into place with little difficulty. I wrote the Dillon novels with just a few scenes and vague ideas of how I was going to piece them together but since I know Dillon as well (in some cases better than) as members of my own family, I trusted him to fill in the spaces and he did in spectacular fashion. I just relaxed and let him tell me how the story went. You may think I’m jerking you around but it’s true: whenever I sit down to write Dillon it seems as if he’s just dropped off notes about what he’s been doing lately and I’m just transcribing them. But maybe you don’t want to or don’t need to do all that. It’s up to you to find what works your machinery and gets it humming. How about supporting characters? Do I do a Character Profile for them? Depends. If they’re major supporting characters like Dillon’s partner Eli Creed or Diamondback’s rival Nickleby LaLoosh, yeah. For other characters I do an abbreviated CP of anywhere from five to ten questions and for minor characters I don’t even bother. And even doing all that work on that character won’t guarantee that they’ll be memorable or even interesting. Take a look at Diamondback Vogel for instance. After I spent about two solid weeks of work on all the main characters I felt especially proud of the work I had done on him and thought he’d be well received. Hah. Turns out that two supporting characters, Toulon and Nickleby LaLoosh were more popular than Diamondback. And during the course of writing the first Diamondback novel, I had to change the ending since Nickleby LaLoosh took over and absolutely refused to nicely die at the end like he was supposed to. You see, by then he had started talking to me about what he wanted to do and like an idiot I listened. But it’s all good. That’s part of the fun of writing and why I don’t write detailed outlines and get myself locked into solid ideas of what has to happen in Chapter 11 and if it doesn’t, I chisel it into shape. It’s much more fun when the characters start taking an active part in their own story and arguing with me as to what they’d like to see and the story grows organically as I discover new things about the characters and they surprise and amaze me with what they do. Bio: I’m from Brooklyn, New York where I’ve lived most of my life. Married for 30+ years to the wonderful Patricia Cabbagestalk-Ferguson who lets me get away with far more than is good for me.